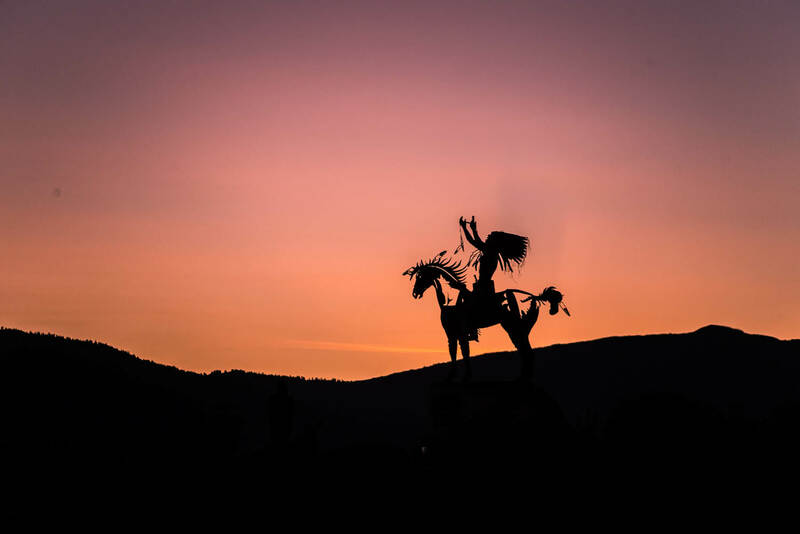 After a game of mini golf at Rattlesnake Canyon, a western-inspired amusement park in Osoyoos, trade kitsch for culture at the award-winning Nk’Mip Desert and Cultural Centre. Owned and operated by the Osoyoos Indian Band, this indoor and outdoor exhibit is a hands-on way to learn about the local First Nations culture. Reward your driving efforts with an old-fashioned sugary treat from landmark ice cream parlour, Tickleberrys (between Penticton and Osoyoos). 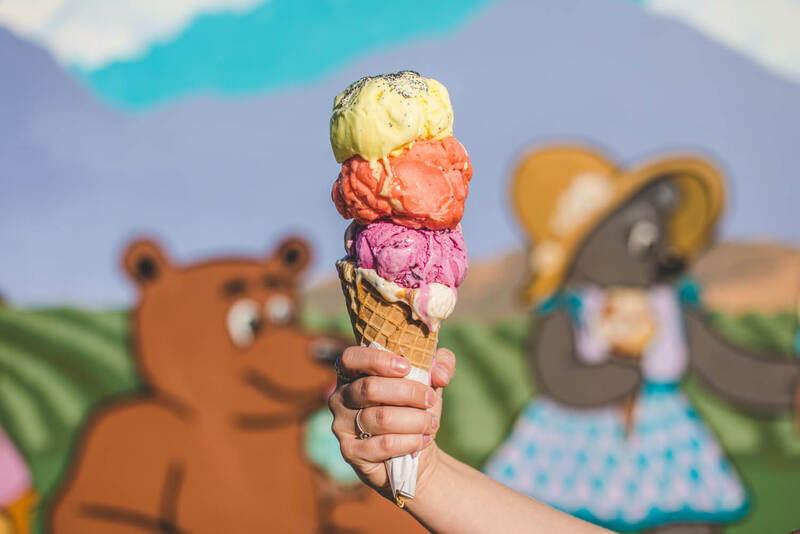 Promising pastel cartoon murals, neon lit signs, and jumbo scoops that can be stacked as many as seven high, this ice creamery is a step back into childhood nostalgia. There are more than 70 flavours to choose from, each of which is made with fresh ingredients to ensure a velvety texture and taste to remember. Long before official mineral analysis, the First Nations Ktunaxa (pronounced K-too-nah-ha) people used the Ainsworth hot spring as a place for healing, soaking in the waters to relieve injuries. 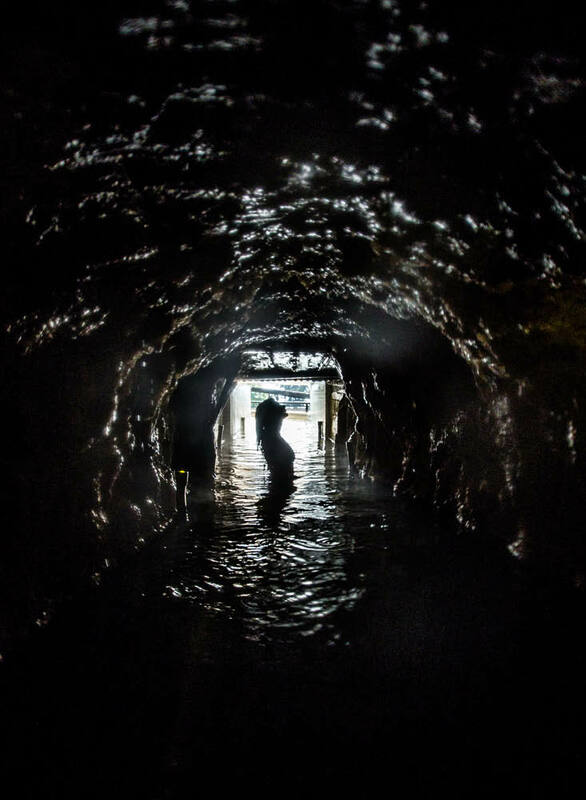 Then along came miners during the 1880s who started to expand the natural pool and created a mountainside cave. Come the 1970s, the Ainsworth Lodge was constructed around the expanded pool and cave, which can still be accessed as part of the recently renovated Ainsworth Hot Springs Resort. At Fort Steele Heritage Town, you’ll find over 60 restored and reconstructed buildings and staff in full 1980s attire, where you can spend a day strolling around the township, watching the village blacksmith hammering new horse shoes and sampling fresh-baked goods at the bakery, to riding in a horse and carriage. 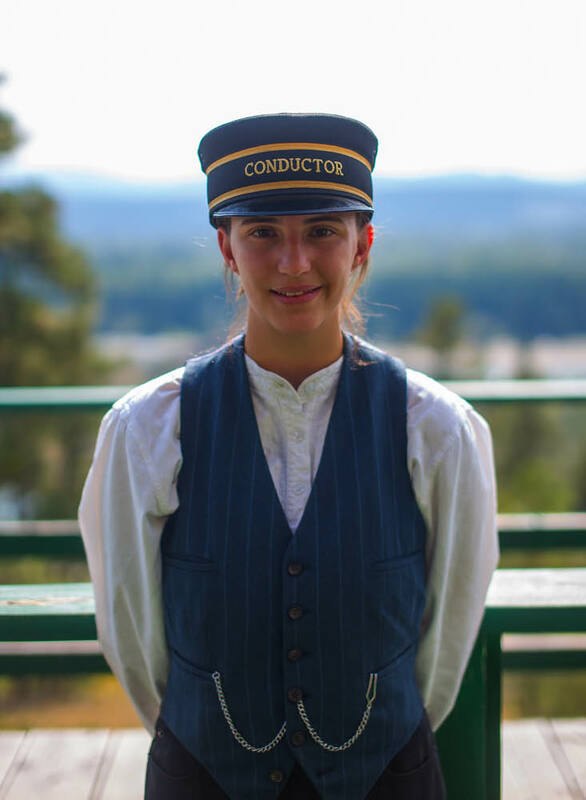 It truly is about the journey, not the destination, as Alissa Jenkins travels the forgotten southern route from Vancouver to Calgary. Before the record-breaking Trans-Canada Highway opened in 1962, streamlining the route from British Columbia’s west coast to Newfoundland’s east coast, interprovince road trips were as much about the journey through country towns and roadside attractions as the destinations at either end. In Western Canada, long before dual-carriage expressways and electronic tolls, it was the winding Crowsnest Highway (otherwise known as Highway 3) that was favoured by road trippers between Vancouver and Calgary. South of its successor and flirting with the US border, the Crowsnest promises a feature film worth of scene changes from the car window, carving though British Columbia’s (BC) coastal mountains, leafy crops and smelting towns frozen in time, and across the Alberta border to snow-capped Rockies and golden prairies, interpsersed with reasons to pull the car over. Likened to America’s Route 66, it’s a drive across provinces but back in time, to places and pitstops long overshadowed by newer, more time-efficient routes. While Highway 3 now slips under the radar of most time-poor travellers, the ‘50s charms and kitschy roadside delights that entertained road trippers from generations past remain. And, as I find on my first sojourn across BC off the Trans-Canada, they’re worth the detour. Three hundred and fifty kilometres east of Vancouver, on the southwestern fringes of the Okanagan Valley, is blink-and-you’ll-miss-it Keremeos. But it’s not the tiny town’s soft rolling hills, Similkameen River or heritage grist mill that will sway your attention. 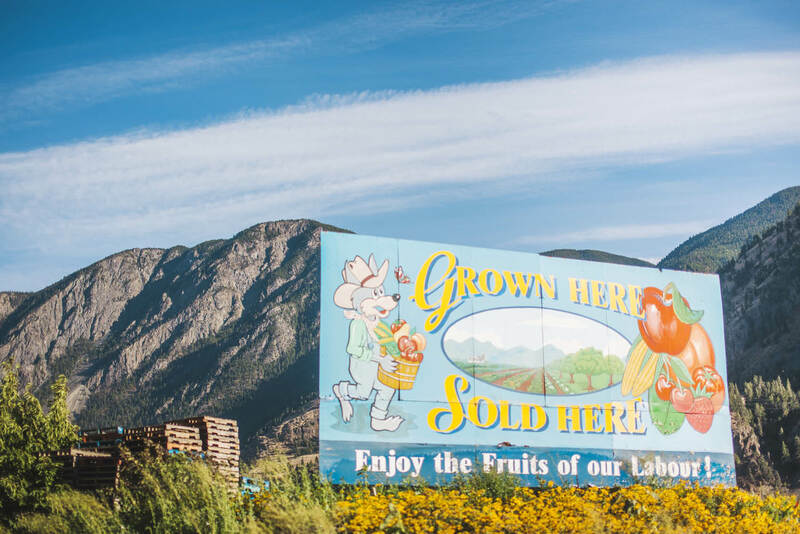 It’s the stream of roadside fruit markets, many fronting the orchards that supply them, earning Keremeos the title of “fruit stand capital of Canada”. We’re not talking a couple polystyrene boxes and an underfed honesty jar. These generous markets stalls, some the size of a house, are as sweet as the juicy fare they stock. Like something plucked straight from the 1950s, each is laced with retro signage above a rainbow of fruit crates, filled with peaches, apples, cherries, plums, and whatever fruit and veg is in season. Inside dozens of these Mom-and-Pop shops (one is literally named Mom & Pop’s Farm Market), you’ll also find tables carefully stacked with homemade jams and handmade lavender sachets, like a walk-in Mother’s Day hamper. Almost as impressive as the freshly picked bounty, sure to dribble down your chin, are the prices. At barely a dollar a pound in most cases, this is the antithesis of highway robbery. Consider your road-trip snacks sorted. Reward your driving efforts (or perhaps some well-behaved travel companions in the backseat) with an old-fashioned sugary treat from landmark ice-cream parlour, Tickleberry’s. 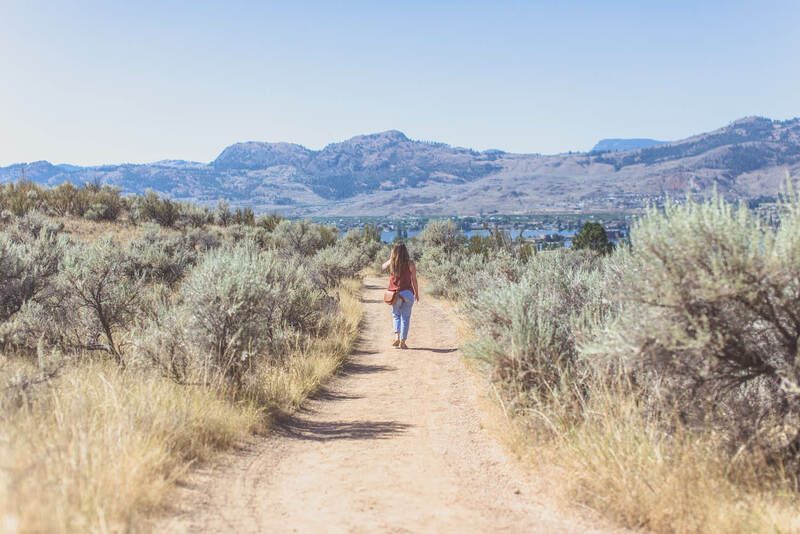 Just south of Okanagan Falls (between Penticton and Osoyoos), this local favourite requires a half-hour detour off the Crowsnest onto Highway 97, but is worth it. Be warned though, this is no ho-hum summer snack. With pastel cartoon murals, neon lit signs, and jumbo scoops that can be stacked as many as seven high, this ice creamery is a step back in time. There are more than 70 flavours to choose from — Lemon Poppyseed, Black Cherry, Fifty Shades of Earl Grey, and Peanut Butter Binge to name a few — each of which is made with fresh ingredients to ensure a velvety texture and taste to remember. If you’d rather not put your lactose tolerance to such a test, peruse the in-house fudge factory, homemade chocolate-covered dried fruits, as well as the extensive range of local crafts and gifts. Nothing says retro road trip quite like a roadside game of putt putt golf. 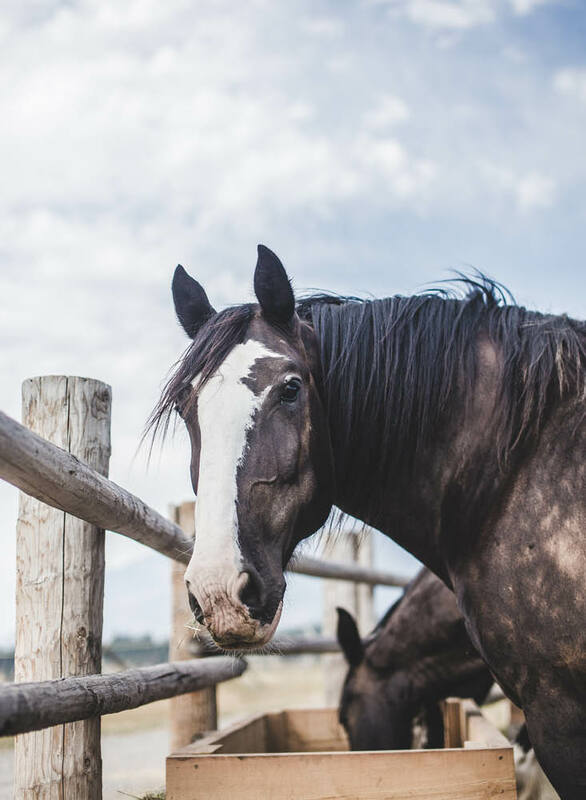 Such is the case at Rattlesnake Canyon, a Western-inspired amusement park in Osoyoos, the heart of BC’s desert wine country. A great place for tiny travellers to burn off energy before your next stint along the Crowsnest, the park features an 18-hole mini golf course, a go-kart track (said to be the best in the Okanagan), a rock-climbing wall, and an arcade among its kid-friendly entertainment. And in case you missed Tickleberry’s, there’s also an ice-cream parlour housed in an authentic windmill. While you’re in town, trade kitsch for culture at the award-winning Nk’Mip Desert and Cultural Centre. Owned and operated by the Osoyoos Indian Band, this indoor and outdoor exhibit is a hands-on way to learn about the local First Nations culture. Continuing east, on the western banks of Kootenay Lake is the oldest surviving community on the waterfront, Ainsworth. With a dwindling population of 50, what the area lacks in residents it makes up for in panoramic views of the deep, fjord-like lake and the surrounding mountain ranges. However picturesque, if the water temperature proves too chilly for a dip, there’s always the Ainsworth Hot Springs. Nestled into the mountainside, this natural hot spring is rich in calcium, magnesium, sodium, lithium and silica, and said to have medicinal benefits. Long before official mineral analysis, the First Nations Ktunaxa (pronounced K-too-nah-ha) people used the hot spring as a place for healing, soaking in the waters to relieve injuries. Then along came miners during the 1880s who expanded the natural pool and created a mountainside cave. Come the 1970s, the Ainsworth Lodge was constructed around the expanded pool and cave, which can still be accessed as part of the recently renovated Ainsworth Hot Springs Resort. The best time to soak in these spring-fed waters is early morning, before the pools get busy. Doors open to the public from 10am, or 8am for resort guests. If you’re visiting in August, another nearby pitstop is Kokanee Glacier Provincial Park, where you can see thousands of spawning salmon swim upstream to release their eggs into the water. Following the Crowsnest into the East Kootneys, detour north to the Fort Steele Heritage Town. A booming gold rush town in the late 1800s, Fort Steele was later abandoned when the long-awaited Canadian Pacific railway bypassed the town in favour of neighbouring Cranbook. As both the population and real estate prices plummeted, it was close to a ghost town within a matter of years. Later designated a historic site, it reopened as Fort Steele Heritage Town in 1969, and has been giving passing road trippers a glimpse into the gold rush lifestyle ever since. 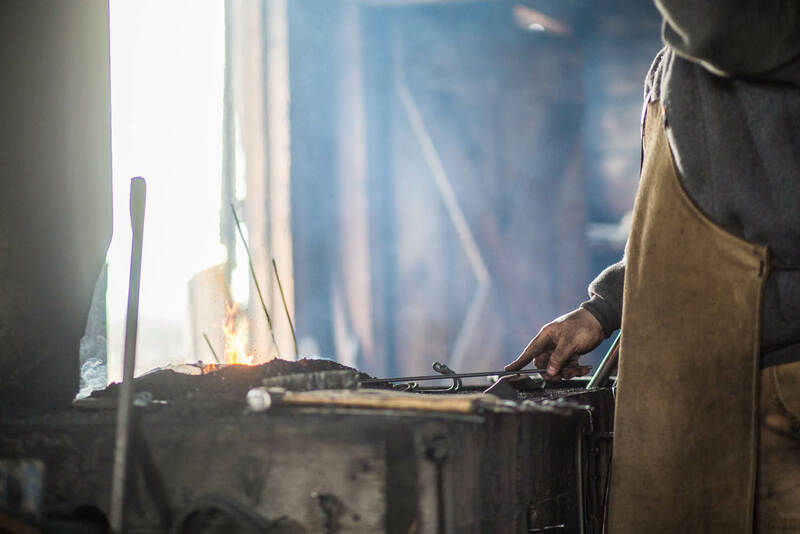 With more than 60 restored and reconstructed buildings, and staff in full 1880s attire, visitors are encouraged to stroll around the township, watch the village blacksmith hammer new horse shoes, sample freshly baked goods at the bakery or take a ride in a horse and carriage. Yet another time warp along the forgotten Crowsnest.